Mint tea has had countless benefits for over 10000 years and it still has. It is a good stress reliever for these busy holidays and helps you relax. We all know how hectic it is when your little cousins are screaming across the halls or coming in with their dirty shoes and walk on your new white carpet * snow why didn’t you come this year sigh*. These benefits aren’t only related to this specific tea brand but it is actually related to the mint leaves itself**. You know what I like. I like it when brands know what they promise and what their product delivers. 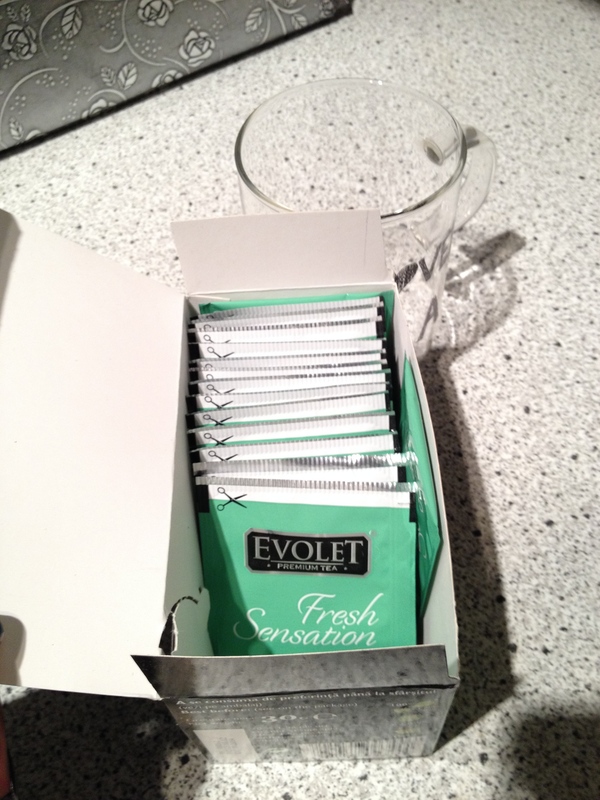 For example this tea promises a fresh sensation. I think this is very appropriate for this tea because mint is fresh and you feel the sensation after sipping this tea. It’s like an after effect. 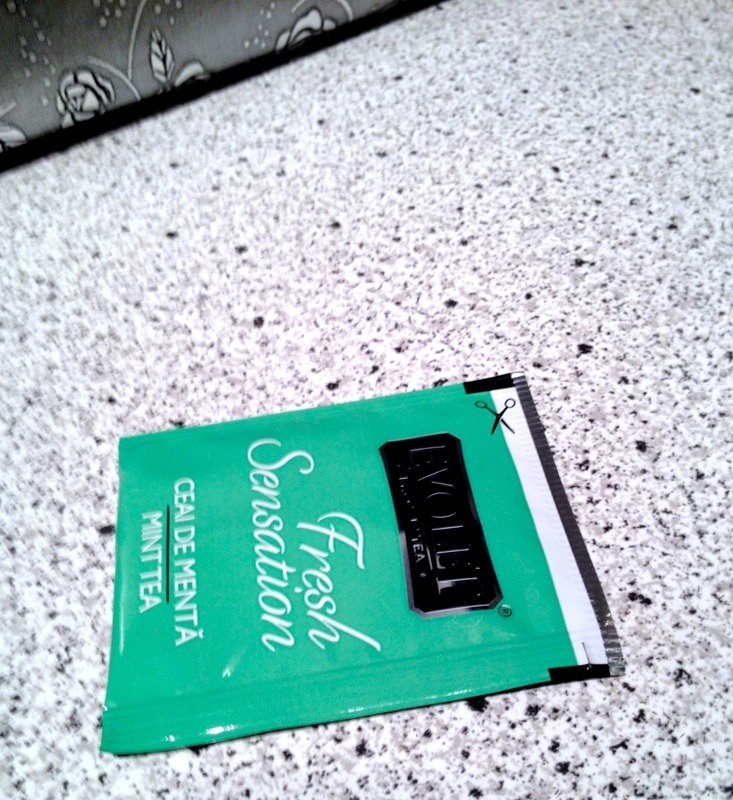 I steeped this tea for four minutes and here are the results. **Tip: If you can’t choose between tea brands with a minty flavour and want to drink pure mint tea (because they are a lot and have other ingredients which you might not like). Make it yourself! No, really you can make it yourself and it’s super easy. 1. Buy some mint leaves at your local grocery story (if you’re in The Netherlands you can find it at your local Toko, Turkish and Moroccan store). 2. If you’ve bought them wash them thoroughly and then boil some hot water. 3. After it’s boiled add water to 4-6 mint leaves and enjoy!